Based in Santa Monica, California, the Neurography Institute serves thousands of patients worldwide each year, conducting specialized scans and providing their physicians with expert readings of the results that help determine the best course of action for the patient’s condition. Invented by Dr. Aaron Filler and protected by United States patents numbered 5,560,360 (awarded October 1, 1996) and 5,706,813 (awarded January 13, 1998), MR neurography is a specialized form of medical scanning using magnetic resonance imaging to see otherwise “invisible” soft tissues of the nervous system. MR Neurography is a means of optimizing an MRI scan for sensitivity to special biophysical properties of nerve. 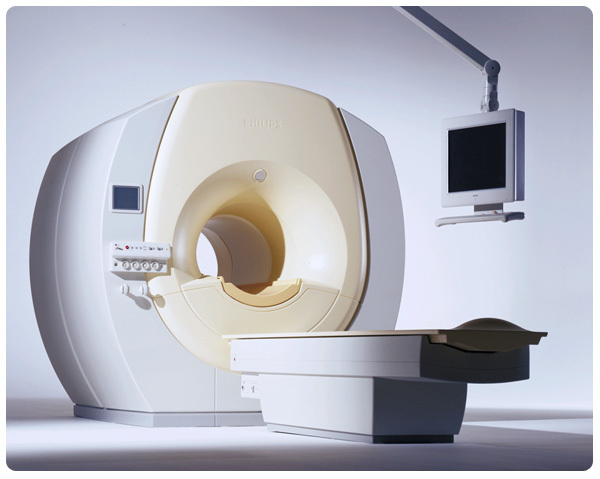 In MRI scanning, the scanner is able to detect subtle differences in the behavior of protons which are most abundant in water. Water in different tissues may have different appearances in the image because of effects of material dissolved in the water; these materials affect the tumbling rate of the water molecules. In addition, tissue may also be affected by magnetic properties of materials dissolved in or near the water. Finally the way in which water molecules move or diffuse in tissues can affect their appearance. There are also protons in different forms and the second most abundant are those participating in fat or lipid molecules. In MRI scanning, it is possible to use radiofrequency pulses and magnetic field shifts to accentuate the appearance of one type of proton over the appearance of another. In addition to the fine aspects of the collection of the image, there are a variety of specialized computer processing steps required to complete the process of presenting a detailed image of the nerve for review. The final image is then interpreted by a specially trained and credentialed neuroradiologist. These doctors have special experience in reviewing and anlyzing nerve images. Click here for a selection of Dr. Aaron Filler’s published works in the field of MR neurography. Click here for a selection of Dr. Aaron Filler’s patents in the field of MR neurography.